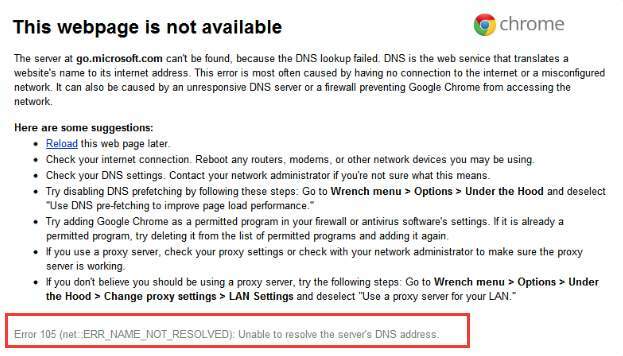 Error 105 ERR_SOCKET_NOT_CONNECTED is a very commonly seen error to users who are using Google chrome. It is a DNS resolution error. DNS stands for Domain Name System, which is a protocol that is used to resolve the IP address of a certain website when you enter the URL to that website and hit Enter in Google chrome. Hence the full description of this error is: Error 105 (net::ERR_NAME_NOT_RESOLVED): Unable to resolve the server’s DNS address. If you are having this problem, don’t worry, this is very easy to be fixed. Just follow the steps below and get it fixed by yourself. 1) Check to make sure that there is no problem on the other end of your Internet service provider. 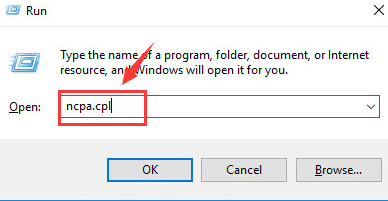 2) Press Windows key and R at the same time, then type in ncpa.cpl and hit Enter. 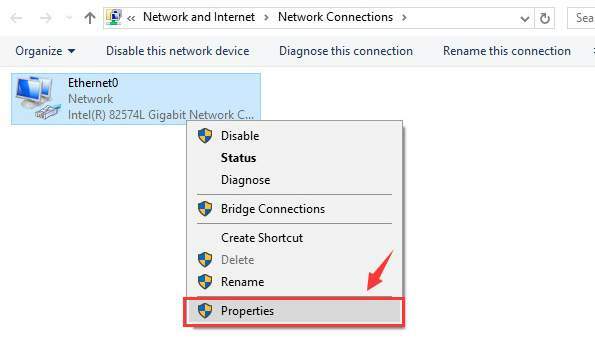 3) Right click the connection with which you use to connect to the Internet (Ethernet cable or Wi-Fi connection)and select Properties. 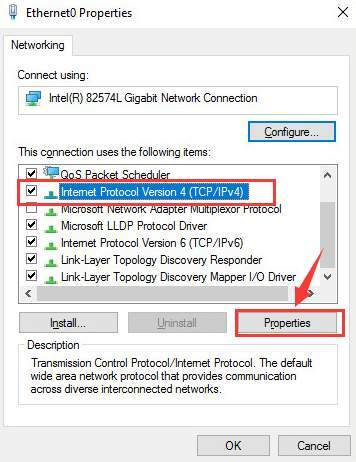 4) In the Properties window, locate Internet Protocol Version 4 (TCP/IPv4) and choose Properties. 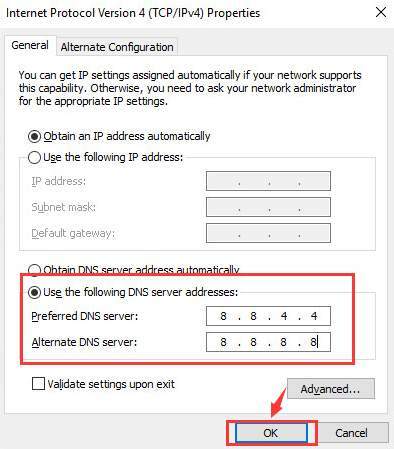 5) Tick the box for Use the following DNS Server Addresses, then change the Preferred DNS server to 8.8.4.4, and the Alternate DNS server to 8.8.8.8. Then hit OK to save the change. 6) Your problem should be gone by now. If it still lingers, please feel free to post it on the comment section. We will see what we can do to help.